Restart RStudio and everything should work as before. There are of course advantages to keeping the output inline as well. 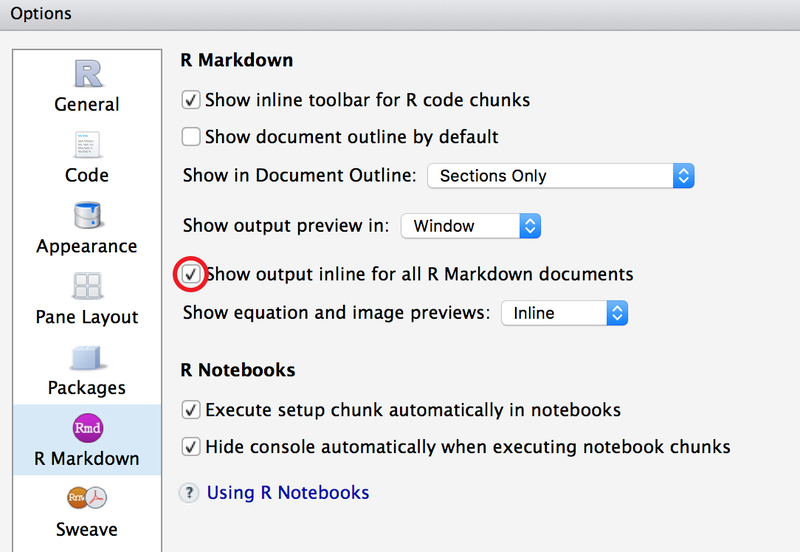 Being able to scroll through the R Markdown file and see not only the code but also the output is nice. I usually just knit to html for this, but that can take quite some time if it is a long script or if there is a lot of plotting going on, etc. Switching between inline and the old way is also a useful option.